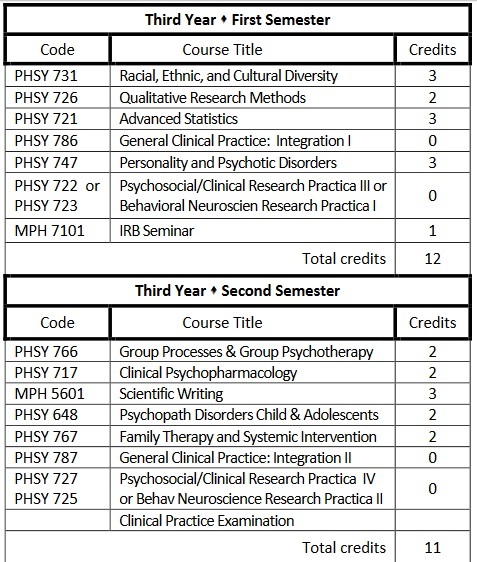 The Psychology Program seeks to develop a new generation of Clinical Psychologists capable of performing excellently in different clinical settings. The Program ascribes to a bio-psychosocial systemic model and follows a practitioner/scholar educational model. It prepares Clinical psychologists able to competently integrate the professional knowledge, skills attitudes, and values that serve as the foundation of clinical practice in a supply of evidence-based training experience. Three letters of recommendation written by professors or individuals familiar with the applicant’s professional work and skills using the format provided with the application form. 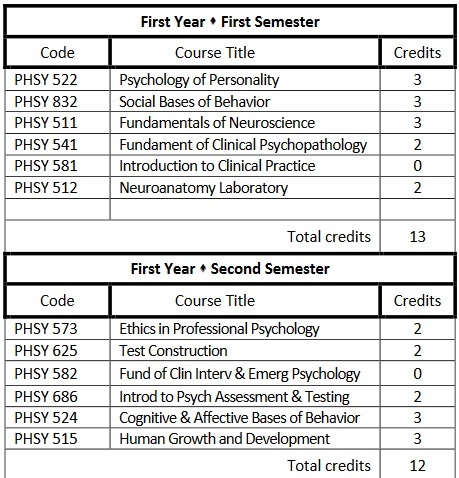 The student must have approved the course with a minimum of a “B” grade. The student must demonstrate in an objective manner, or through formal written and/or oral examination, that he/she has the skills expected of such courses. 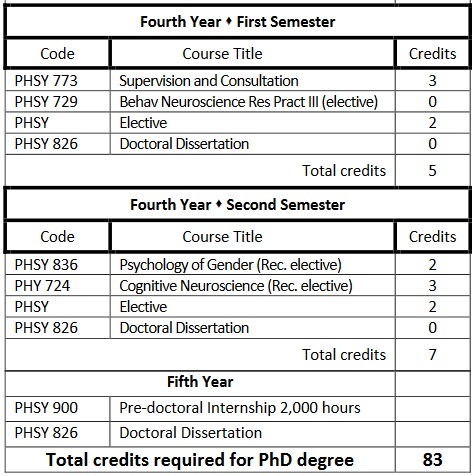 It is the student’s responsibility to provide the course description from the official catalog of the institution in which the courses were taken. P.H.S.U. has a number of courses and practicum that are not substituted with courses or practicum transferred from other institutions unless the student demonstrates specific competencies in such areas. 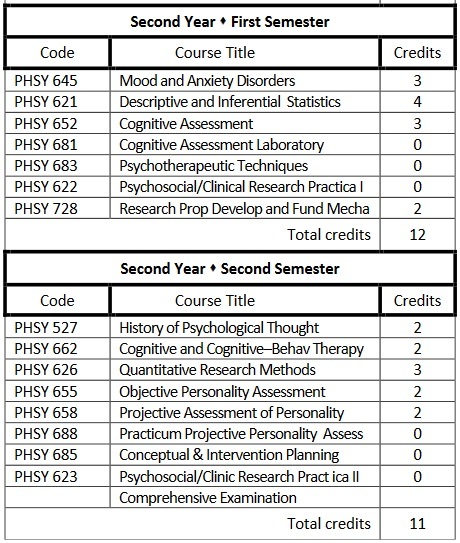 However, many of the elective courses may be waived based upon the number of credits transferred. This will allow students who enter with a Master’s degree to complete the academic portion of the program faster, allowing them more time to work on their Dissertation or Case Study and with the internship requirements. Written confirmation of acceptance and a non-refundable deposit of USD$100.00 to secure the seat in the entering class. Evidence of up to date immunization record (must include Varicella, Td Adult, MMR and three doses of Hepatitis B). Other documents will be notified as pertinent. The program is designed to take 5 years to complete. Of those that completed the program in 2014-2015, *% finished in 5 years. *Fewer than 10 students completed this program in 2014-15. The number who finished within the normal time has been withheld to preserve the confidentiality of the students.